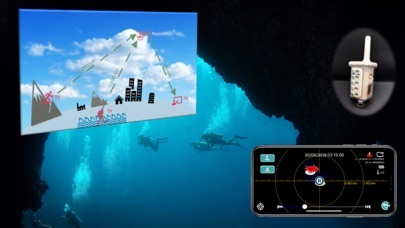 Gpacers Poseidon Tracker(GPT) system is designed as a portable device for personal safety. It is similar to a satellite system and lets nature lovers protect their loved ones. GPT is a single transceiver having integrated transmitter, receiver and repeater functions in one device to perform missions for long-range tracking and danger prevention. The relevant safety personnel use a mobile device, smart phone or tablet, to connect with the receiver and the GPT app installed on the mobile device performs as the console for safety surveillance tasks. The GPT App has a powerful and user-friendly interface, it fulfills safety surveillance tasks, including long-range tracking, danger prevention and full data recording. Just install and open the GPT app to monitor and protect lives. 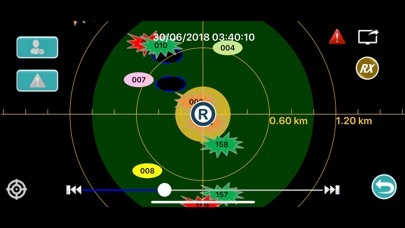 All transmitters within the effective range can be monitored at the same time, and the GPT app can issue different preventive alarms to avoid occurrences of danger and/or to improve the efficiency of the rescue. When there is danger, an audio alarm and visual on-screen alert is automatically triggered. 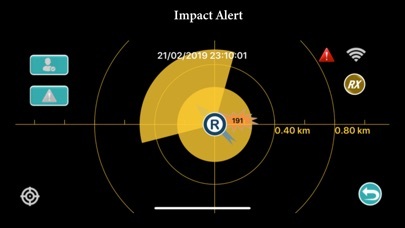 The 4 types of alerts are as follows: (1) Impact Alert Any person in the yellow zone will be shown as an orange star. This setting can be used to (i) prevent collisions between persons and vessels. (ii) alert rescue personnel when in the proximity and when approaching the person in distress. 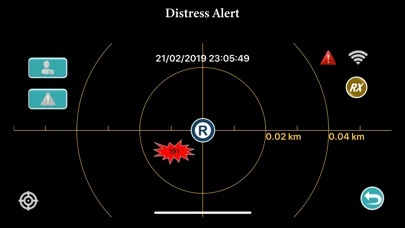 (2) Distress Alert Any person who sends a distress signal will be shown as a red star. When the distress signal is terminated, it will be displayed as a green star for up to 1 hour to announce the termination of distress status. 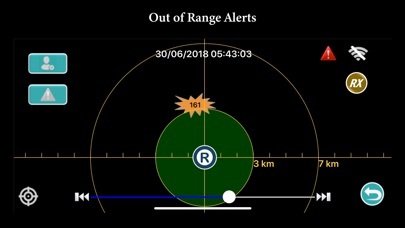 (3) Out of Range alerts Any member appearing outside the safe zone will trigger an alert. 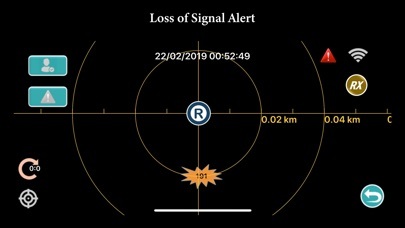 (4) Loss of Signal alert Any member (i) whose signal has not been updated for a continuous 10 minutes period and (ii) when the set alert countdown has expired, will be displayed at their last known coordinate as an orange star. Additionally all relevant data can be recorded and shared. Please refer to our official website for more information: www.gpacers.com. If you have any problem or advice to enhance the application, please feel free to contact us at:　service@gpacers.com.